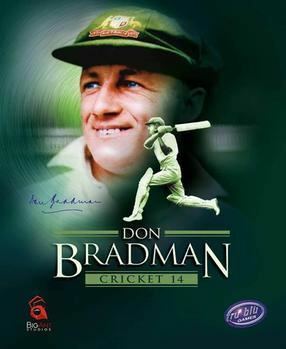 Sir Donald George Bradman, AC (27 August 1908 – 25 February 2001), often referred to as "The Don", was an Australian cricketer, widely acknowledged as the greatest Test batsman of all time. Bradmans career Test batting average of 99.94 is often cited as the greatest achievement by any sportsman in any major sport. The story that the young Bradman practised alone with a cricket stump and a golf ball is part of Australian folklore. Bradmans meteoric rise from bush cricket to the Australian Test team took just over two years. Before his 22nd birthday, he had set many records for top scoring, some of which still stand, and became Australias sporting idol at the height of the Great Depression. During a 20-year playing career, Bradman consistently scored at a level that made him, in the words of former Australia captain Bill Woodfull, "worth three batsmen to Australia". A controversial set of tactics, known as Bodyline, was specifically devised by the England team to curb his scoring. As a captain and administrator, Bradman was committed to attacking, entertaining cricket; he drew spectators in record numbers. He hated the constant adulation, however, and it affected how he dealt with others. The focus of attention on his individual performances strained relationships with some team-mates, administrators and journalists, who thought him aloof and wary. Following an enforced hiatus due to the Second World War, he made a dramatic comeback, captaining an Australian team known as "The Invincibles" on a record-breaking unbeaten tour of England. A complex, highly driven man, not given to close personal relationships, Bradman retained a pre-eminent position in the game by acting as an administrator, selector and writer for three decades following his retirement. Even after he became reclusive in his declining years his opinion was highly sought, and his status as a national icon was still recognised—more than 50 years after his retirement as a Test player, in 2001, Prime Minister John Howard of Australia called him the "greatest living Australian". Bradmans image has appeared on postage stamps and coins, and a museum dedicated to his life was opened while he was still living. On the centenary of his birth, 27 August 2008, the Royal Australian Mint issued a $5 commemorative gold coin with Bradmans image, and on 19 November 2009, he was inducted into the ICC Cricket Hall of Fame.